The Subaru Impreza is a long-running favorite, combining the excellent maneuverability and utility of a compact sedan and the excellent safety and performance of an all-wheel drive vehicle. Fully redesigned in 2017, the 2018 model has added even more safety and performance features that make it an even more attractive vehicle. 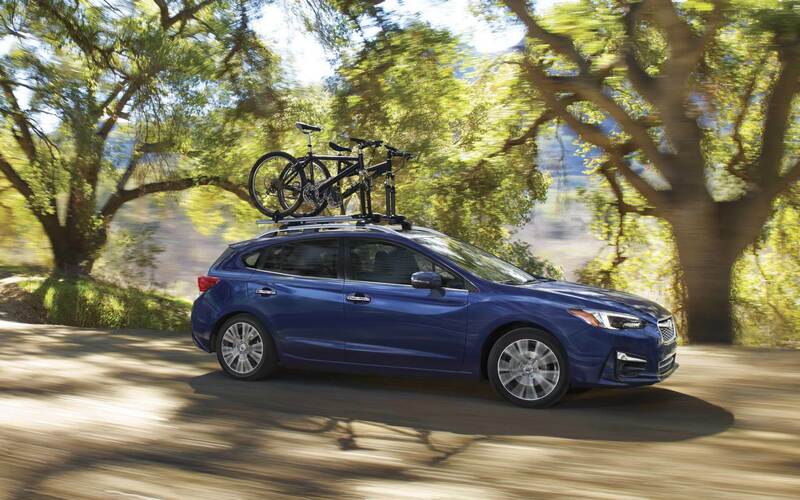 We invite you to read all about the excellent features of the car in this Impreza 2018 review, and then visit our Boulder Subaru dealer Flatirons Subaru, serving Boulder Fort Collins Denver Colorado, to check out the amazing 2018 Subaru Impreza for yourself. Our excellent associates will be glad to answer all of your questions, set you up for a comprehensive test-drive and provide you with our lauded customer service. With our excellent selection of 2018 Subaru Impreza serving Denver CO, you are sure to find the perfect Impreza for your needs with us. 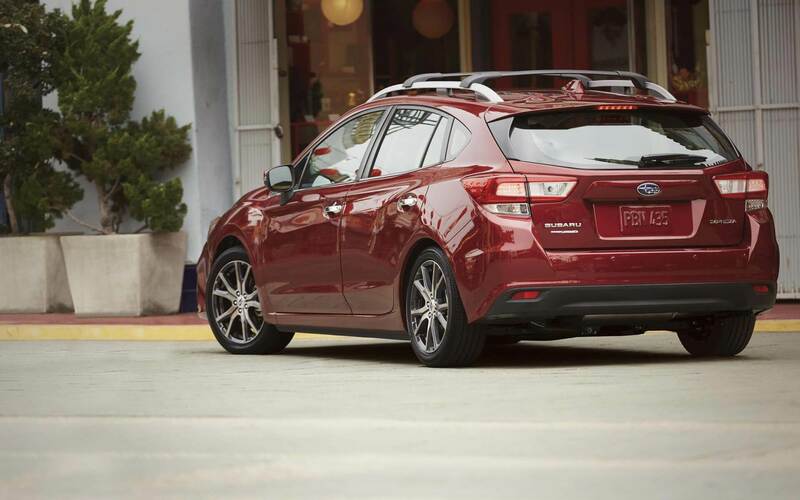 From the outside, the 2018 Impreza is an excellent blend of function and aesthetics with a bold stance and stylish body that does not infringe on its driving dynamics or passenger and cargo space. A quick look at our lineup of 2018 Subaru Impreza serving Denver CO reveals a car that looks great in any of the several different color configurations available, from the Venetian Red Pearl to the subtle Carbide Gray Metallic or the vibrant Island Blue Pearl. The recent facelift of the model has given the Impreza all of the exciting modern appearance cues, from the sharply cornered fog light bays to the narrow wrap-around headlight assemblies, while still keeping the recognizable Subaru Impreza shape. The result is a stylish vehicle that can both blend in and stand out of the crowd depending on your prefered color and accessory options, such as the distinctive alloy wheels and roof rails of the Impreza Sport models. 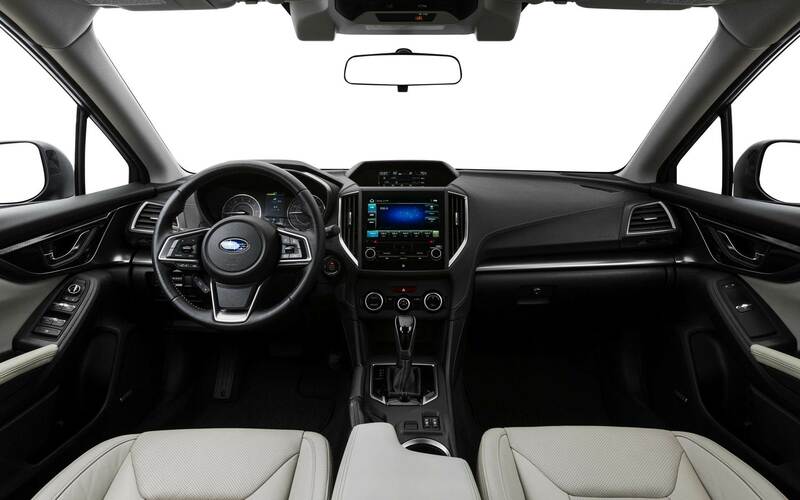 The inside of the 2018 Subaru Impreza is spacious, comfortable and stylishly appointed. 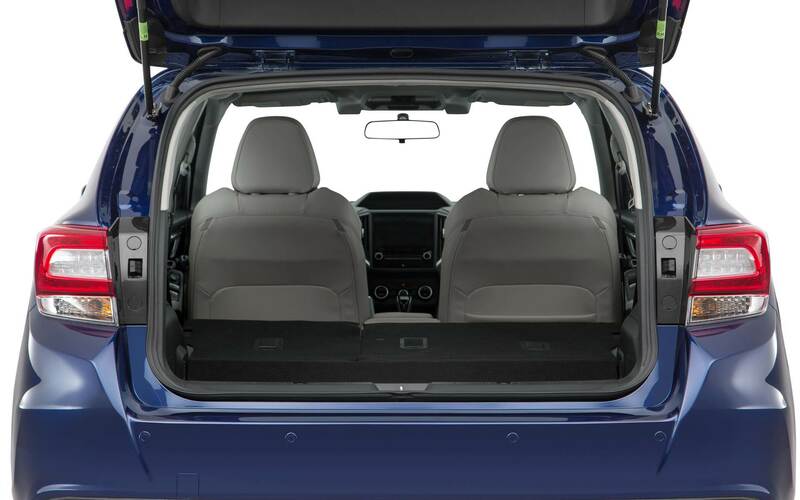 Whether you sit in the comfortable front seats or the spacious rear bench that is easy to get into through the wide rear doors, you get plenty of bolstering and cushioning to make even a long drive a comfortable experience. The large trunk on the sedan and the wide hatchback opening on the hatchback model provide lots of cargo space for casual drives, sports outings or cross-country road trips. In addition to providing plenty of function, the interior of the Impreza is also quite stylish, thanks to soft-touch plastics around all of the major contact surfaces and stylish aluminium trim accent pieces. Excellent sound insulation rounds out the package, isolating you and your passengers from loud engine and road noises and making for a quiet and comfortable drive. When you stop by our Boulder Subaru dealer for an Impreza test-drive, you will immediately recognize that this car drives in a way that few other compact sedans can match. Almost all of the vehicles in the Subaru lineup are equipped with and all-the-time all-wheel drive, and the Impreza is no exception. So when you are taking an Impreza around a corner, power is being moved to all four wheels at the time, giving you an extra boost of traction for better cornering and acceleration. In addition to the all-wheel drive system, the new Impreza is equipped with responsive steering and a tighter suspension than many of its competitors, giving you a sporty driving experience without sacrificing passenger comfort. The combination of a strong engine and a pair of great transmissions easily puts the 2018 Impreza on the map when it comes to compact sedans with great performance. 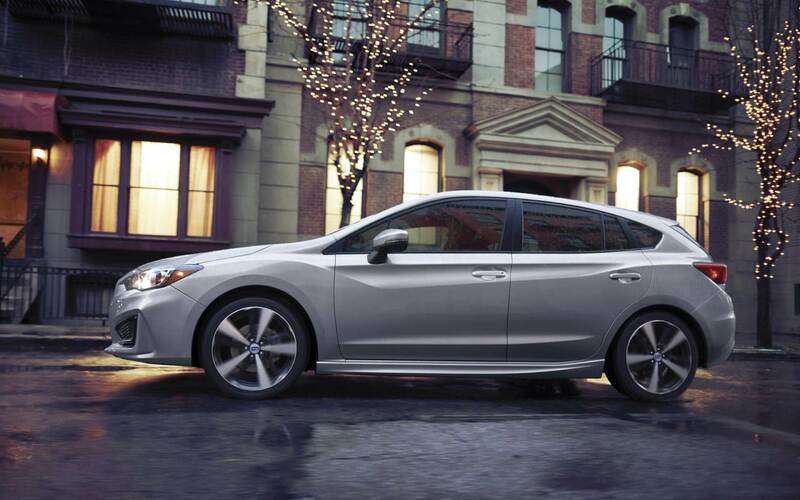 The engine powering the Impreza is a 2.0-liter four-cylinder horizontally-opposed engine. Unlike conventional inline or V-type engines, the cylinders in this engine move left to right rather than up and down, providing the Impreza with a low center of gravity for better maneuverability and an efficient all-wheel drive system. For the transmissions, you are given the choice between a continuously variable transmission, which offers a quieter and more efficient ride or a performance-grade six-speed manual transmission. And this Impreza 2018 review would not be complete without mentioning the six-speedDenver COs new short-throw shifter that has been adapted from the high-power WRX that is standard on all the manual-equipped 2018 Impreza models. Stop by our Flatirons Subaru dealership serving Boulder Fort Collins Denver Colorado and check it out! The Impreza has been a class-leading vehicle when it comes to safety for many years, and the 2018 review of its capabilities reaffirms its place as one of the safest compact vehicles you can get your hands on today. It boasts five-star scores across the board from the government's National Highway Traffic Safety Administration and a Top Safety Pick Plus award from the private Insurance Institute for Highway Safety, which noted the Impreza's crash avoidance technology - EyeSight - as 'Superior'. With the advanced sensors EyeSight offers available on almost all models, you will be hard pressed to find a car safer than the 2018 Subaru Impreza in its class. The new Impreza continues to impress with its excellent technology, performance and style. With its large selection of 2018 Subaru Impreza serving Denver CO, Flatirons Subaru - the Boulder Subaru dealer serving Boulder Fort Collins Denver Colorado - is the place to go to get your hands on this exciting vehicle. So get in touch with us today if you have any questions about the Impreza or want to reserve your vehicle today!